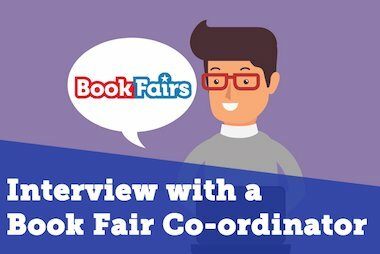 A hilarious picture book about messy mishaps and muddy mayhem! 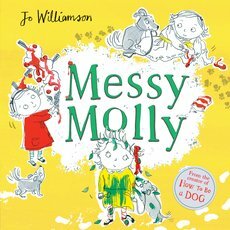 Messy Molly is on a mission to stay tip-top tidy… But slurpy spaghetti gets everywhere. Rainwater wiggles its way into her wellies. Mud seems to find her, always. Will Molly manage to stay spick and span for her singing show? Gold Medal Me! 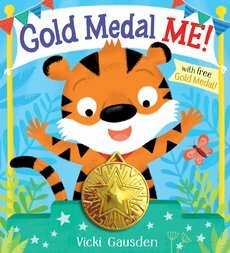 comes complete with a shiny plastic gold medal, perfect for children to enact their very own medal ceremonies. Toby the tiger can’t wait for Sports Day. Best of all, Miss Meadow has lots of gold medals to give out. But when Toby doesn’t win any races, how will he get a gold medal? 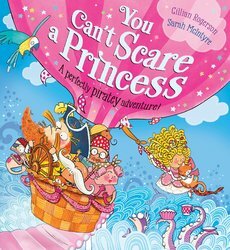 When a crew of scurvy pirates take King Cupcake captive, there’s only one person who can save the day: Princess Spaghetti! Captain Waffle may be the meanest pirate in the world, but he’s no match for this feisty princess. A swashbuckling picture book written by Gillian Rogerson and illustrated by award-winning Sarah McIntyre. Snuggle down with the little ones and this classic tale – now available as a board book! 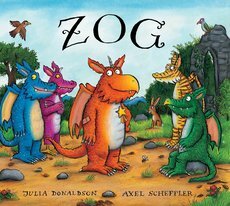 Zog is the keenest dragon in school. He’s also the most accident-prone. Luckily, a mysterious little girl always patches up his bumps and bruises. But will she be able to help him with his toughest test: capturing a princess? A beautifully written, lyrical tale created by CBeebies’ presenter Cerrie Burnell and stunningly illustrated by Laura Ellen Anderson. 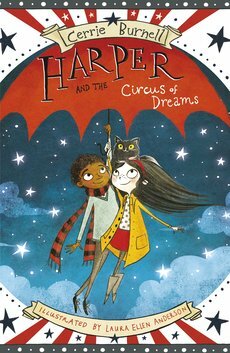 Late one evening as the stars begin to twinkle, Harper and her friends are flying on the scarlet umbrella when they see a girl running on air. 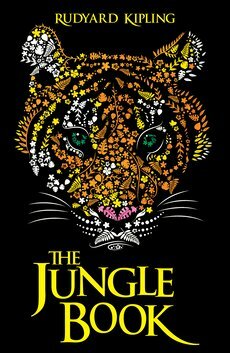 She leads them to the Circus of Dreams… and a magical adventure! 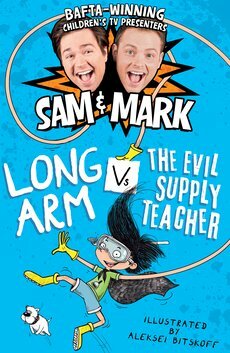 A new superhero’s in town in the second laugh-out-loud adventure from children’s TV presenters Sam and Mark! Long Arm might be saving the day but his alter-ego Ricky Mitre is still always in trouble with his grumpy and very trumpy teacher, Mr Pinkerton. So when a cool new supply teacher comes to school, Ricky’s problems are solved! Or are they? Alfie thought he knew his destiny. 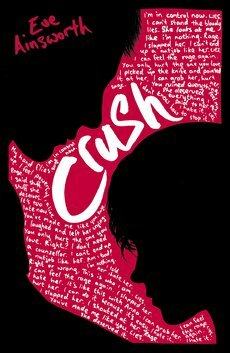 He didn’t know the half of it.Fourteen-year-old heir to the throne, Alfie, didn’t expect to be King so soon. 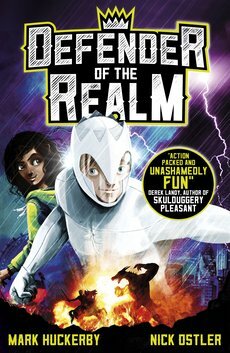 He DEFINITELY did not expect to be DEFENDER OF THE REALM, a legendary superhero, fighting a secret, centuries-long battle to protect the nation from monsters and super-villains. 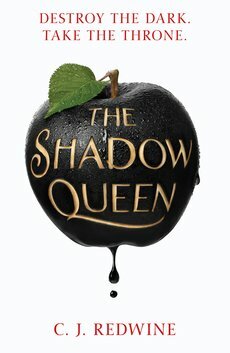 Lorelai, crown princess and fugitive-at-large, has one mission: kill the wicked queen who took both the Ravenspire throne and the life of her father. She’ll have to be stronger, faster and master more magical power than Irina, the most dangerous sorceress Ravenspire has ever seen. When the queen’s huntsman – a dragon-shifting king – tracks down Lorelai, sparks fly between them. Can the king overcome his predator side – and can Irina’s dark magic be defeated? 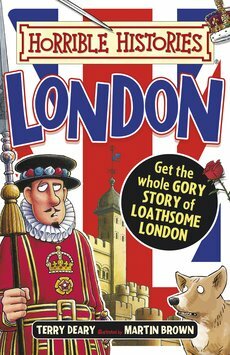 Join a gore-tastic tour of the streets of London, exposing all of its most scurrilous secrets. Take a trip to the terrifying Tower, dip into the ruthless River Thames and peer into creepy St Paul’s Cathedral. Plague, pestilence and fire, it’s a trip no Horrible Histories’ fan will want to miss! Help the kids with letter formation, learning consonant and vowel sounds and much, much more. 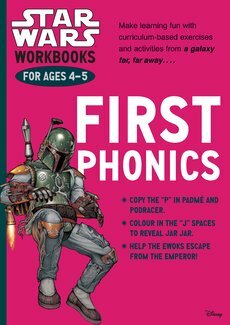 Colour the J spaces to reveal Jar Jar, trace the P in Padme and Podracer and follow the path marked with E to help the Ewoks escape from the emperor! 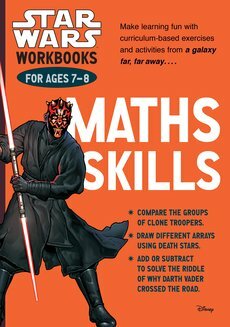 Make learning fun with curriculum-based exercises and activities from a galaxy far, far away… Compare the groups of clone troopers. help the Ewoks write a birthday invitation and add or subtract to solve the riddle: Why did Darth Vader cross the road? 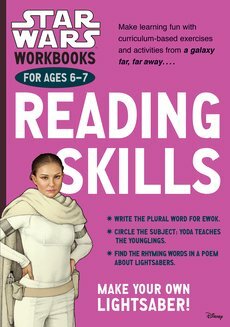 Reinforce language skills such as, reading, comprehension, parts of speech, phonics, vocabulary and much, much more with their favourite Star Wars characters! 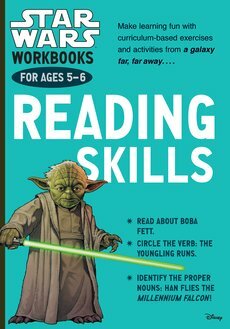 Join their favourite Star Wars characters to reinforce language skills with reading comprehension, synonyms and antonyms, identifying parts of a sentence and much, much more! 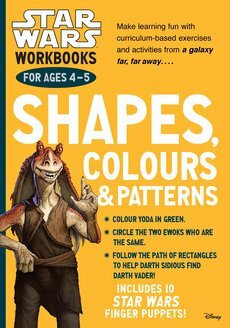 Help the kids learn key early learning objectives through colour, shapes, pattern recognition and much, much more! 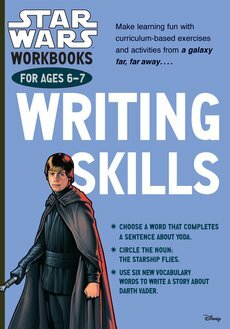 Make learning fun with curriculum-based exercises and activities from a galaxy far, far away… Choose a word that completes a sentence about Yoda, and even write a story about Darth Vader. 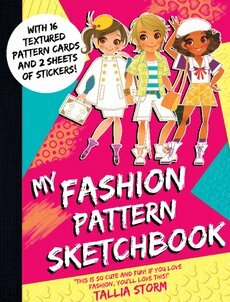 My Fashion Pattern Sketchbook is the perfect activity book for fashionistas everywhere. Choose fabrics, design outfits and create patterns for your own fashion house. Use the textured cards and stickers to add detail and let the fashion designer inside get imaginative! 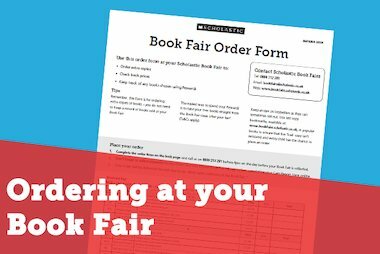 Includes 2 pages of textured cards and 2 pages of stickers. Where’s the Easter Bunny? is the perfect search-and-find sweet treat. The Easter Bunny has fallen down a magical burrow! 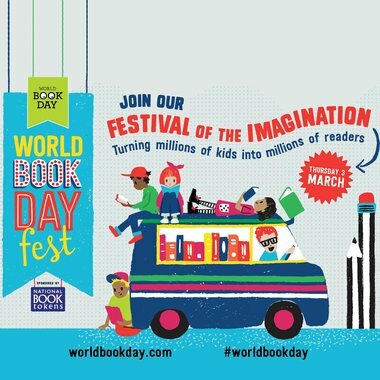 Follow him through wondrous lands full of lollipops, gooey eggs centres, fairytale creatures, aliens and more! 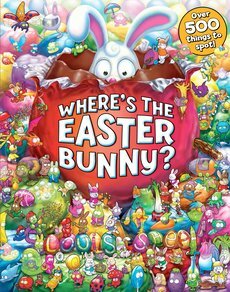 With over 500 things to spot, Where’s the Easter Bunny? is guaranteed to keep children busy for hours on end.